Today in Boulder, we had the Buffalo Bicycle Classic, an annual bike ride that raises money for scholarships for Arts & Sciences students at the University of Colorado. Since I only have a hybrid bike (basically a commuter bike), I did the 35 mile course. It’s not really a race, so I didn’t try to go as fast as I could. My time actually riding the bike (there were a few rest stops with water and snacks) was around 2.5 hours. Luckily, it didn’t rain at all today, so the weather was mostly quite nice, although a little hot. The 35 mile course goes from campus up US 36 for a while and then over to the small town of Hygiene before turning back and returning to campus. For more serious bikers, there are longer courses. The hardest is a 110 mile course climbing Boulder Canyon to Nederland and following the Peak to Peak Highway, passing through Lyons, and then going up near Loveland before returning. 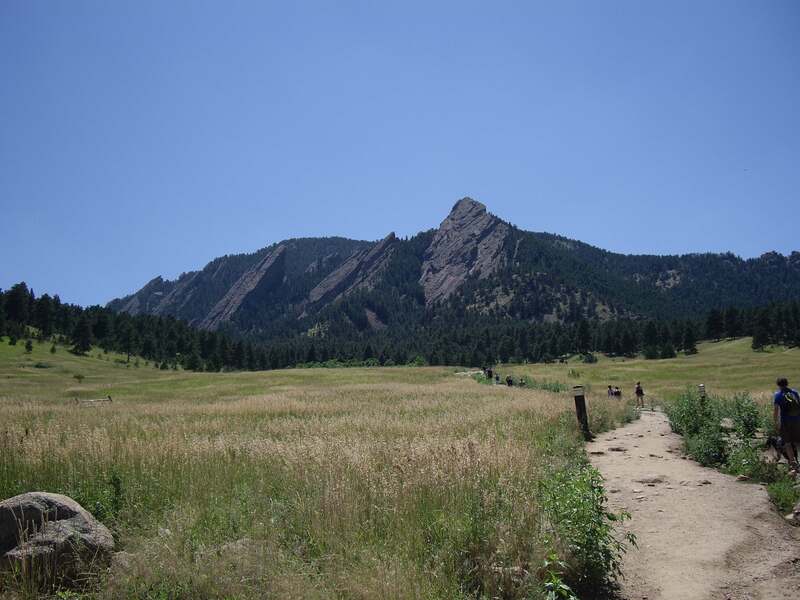 Since we finally have a dry weekend in Colorado, I spent most of the afternoon hiking in Chautauqua Park in Boulder. View of the Flatirons from Chautauqua Park in Boulder. The hike started at the Chautauqua trailhead and went along the Chautauqua trail and the Ski Jump trail to the Gregory Canyon trailhead, which is currently inaccessible to vehicles due to flood damage from last year. It then followed the Gregory Canyon trail to the Ranger trail. From the Ranger trail the path followed the E.M. Greenman trail to the Saddle Rock trail and followed that to the Amphitheater trail. The hike ended by walking along the Baseline trail back to the Chautauqua trailhead. These trails are all open, but there is some damage along the Gregory Canyon trail as it follows a creek, and there is also a ladder on the Saddle Rock trail to get down a damaged section. There are a couple closed areas in the park, such as the Royal Arch trail. This hike ended up being around 9 km and took around 4 hours at a fairly slow pace. There is an elevation gain of around 500 m and there are a lot of steep rocky areas along the Gregory Canyon and Saddle Rock trails, so this probably isn’t appropriate for small children or people with no hiking experience. It’s a pretty nice hike on a hot day, since it’s mostly in wooded areas except for the areas near the Chautauqua trailhead. 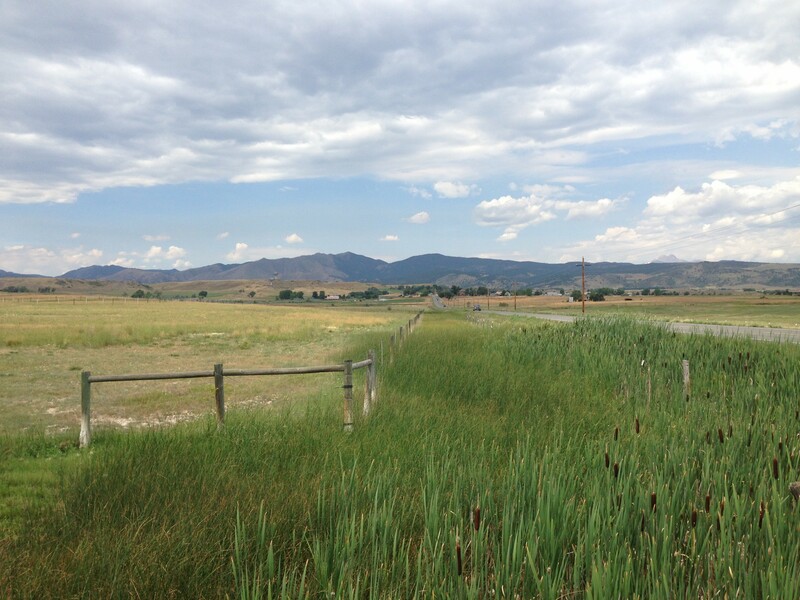 There are very nice views of Boulder along various points of the trail. View of Boulder from the Saddle Rock Trail. 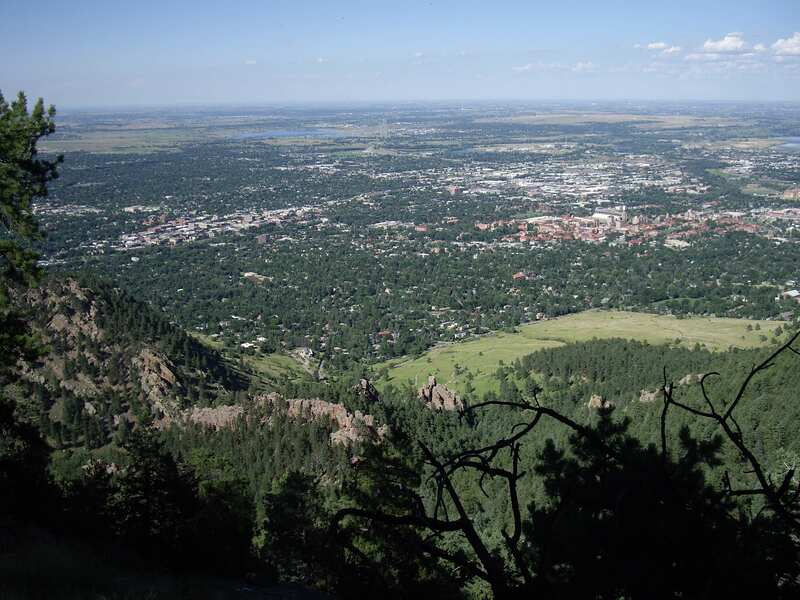 On the left is downtown Boulder, and on the right is the University of Colorado. If you’re more ambitious, you can follow the Ranger trail to the top of Green Mountain and then loop back around on the Greenman trail to the Saddle Rock trail. This adds another 3 km to the path and I think around 300 m of elevation. 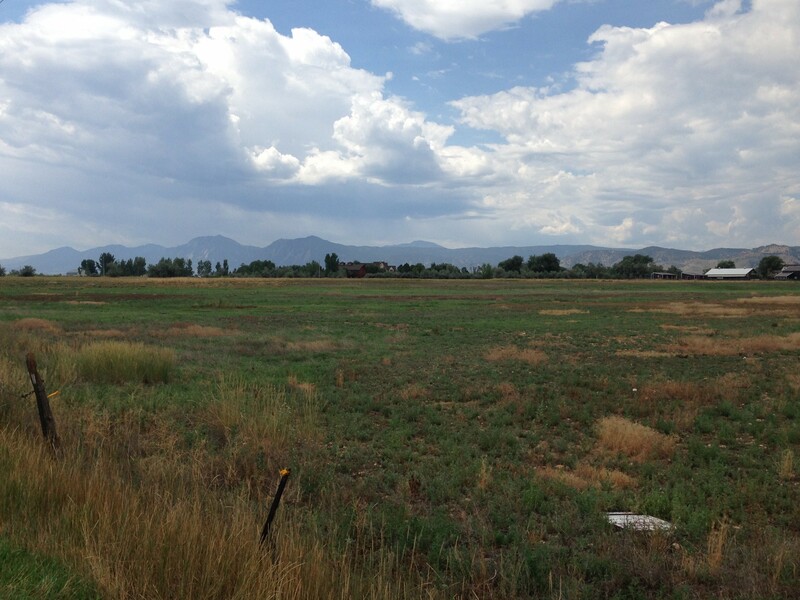 Mountains north of Boulder from 63rd & Nelson. This morning was really nice for getting outside here in Boulder. I decided to go for a long bike ride north of the city, and ended up doing 52 km. That’s really far for me, especially since I have a hybrid instead of a road bike.